Electronics maker LG announced that their own cloud service, the imaginatively named LG Cloud, will launch in beta tomorrow. Like other clouds, the service will allow users to share content seamlessly across multiple devices, including Android smartphones, smart LG TVs, and PCs. 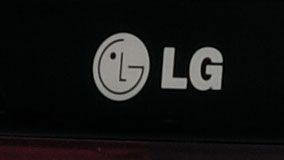 The service will come in the form of a Google Play or LG SmartWorld app store download on Android devices, a SmartWorld app on LG TVs, and an application that can be downloaded from LG's website on computers. When synchronized, the apps will automatically share data and content between each device. For example, pictures and video taken on a smartphone will be viewable on a PC or LG TV. Likewise, videos uploaded from a PC can be watched on a smartphone almost instantaneously. Therein lies the advantage of LG's service: content will be streamed directly to devices from the cloud, so there's no extra time spent waiting for a full video or other large file to download. Other cloud services typically require content to be downloaded before it can be viewed. For example, Google's just-launched Google Drive service will reportedly allow only the smallest of files, like text documents, to be viewed on the cloud without being downloaded first. The LG Cloud will be at a disadvantage, though, due to its brand exclusivity. Unlike other cloud services, LG Cloud will be limited to LG-brand TVs (and possibly LG phones running Android, though that's unconfirmed so far). On the other hand, a service like Google Drive can be used from any computer and Android phone, with an iOS version reportedly in the works as well. Google Drive will likely continue to expand to other companies' products, while LG Cloud will be limited to LG's own devices. But for those with numerous devices in the LG family, the LG Cloud could prove to be the one to use.